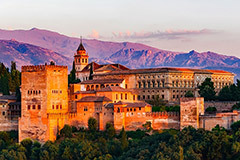 Spain is a popular holiday destination in Southwestern Europe with amazing nature, and diverse culture and history. It is also a full member of the EU and the Schengen area, meaning that Spanish residents enjoy unrestricted visa-free travel within all of Europe. Its popular investment residency program is extremely fast and uncomplicated, giving you and your family all the benefits without physically having to reside there. Under the family reunification scheme, your spouse and children under 18 can be granted residence permits once the main investor’s has been approved. Children above 18 and parents can also qualify, provided they are financially dependent on the main investor. The process is extremely fast, it only takes 10-15 days from submitting the application. However, the applicant must have committed to buying a property before the application can be submitted. This means that you will have to make a visit to Spain prior to application, sign a purchase contract on your chosen property, and open a bank account. Upon returning home, you transfer the deposit to start the sales process. This can take 2-3 months, after which you can submit your application and receive your RP. You can apply for permanent residency after 5 years of holding a Spanish RP, and for citizenship after 10 years of legal residence in Spain. As soon as your residence permit is granted, you and your family will have full visa-free access to all 26 countries of the Schengen zone in Europe. If you acquire Spanish citizenship, you’ll have visa-free access to over 150 countries including the EU, UK, Australia, Canada and the USA. The minimum property purchase price to qualify for investment residency is EUR 500,000. You can choose to live in the property you purchased or rent it out. In addition, legal and government fees and taxes will have to be paid, totaling around EUR 60,000 for a family of 4. Please get in touch with us for an exact quote based on your specific situation.